When I went to high school we were encouraged to take CLEP (The College-Level Examination Program) tests before graduation. Passing the test gives you the opportunity to receive college credit for what you already know. They are still available. I don’t know how many there were back then but the tests I took aren’t on the list now. I took three of them. One was in algebra, and I missed passing by a very few points. The other was for Freshman English and the third Humanities. All of these were in the requirements for a Bachelors degree at the college I chose to attend. I received credit for both the English and the Humanities tests. There was a limit of 9 college credit hours that could be earned. Because of that, I still had to take the Freshman English class on writing 500 word themes. First of all, I don’t agree with imposing confines on creative writing and that is what the class seemed to be about. After teaching high school students though, I understand why they are necessary. A paragraph is typically a series of sentences related to a single topic instead of one sentence, as is the popular high school student belief. 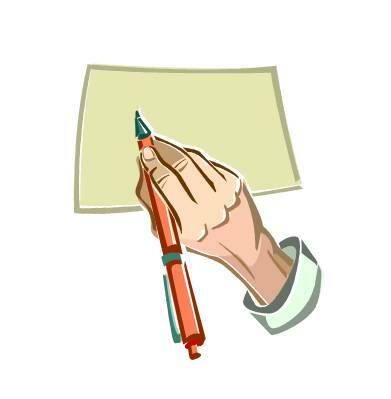 A 500 word theme consisted of 5 paragraphs, including an introduction, three narrative paragraphs and a conclusion. Back then the thought of writing 500 words was atrocious. Not only would it cut into my social life but I didn’t have a typewriter. The only computers available at the college at that time required cards with holes punched in them for any action. There were typewriters available in the library but there was usually a wait. Because my handwriting was reasonably legible I asked the assistant professor if I could hand write my papers. He allowed any of us who didn’t have access to a typewriter and whose handwriting he could read, to complete our assignments in that manner. It wasn’t a bad deal except the final copy had to be perfect, meaning no scratch outs and in ink. I liken the assistant professor to a student teacher. He had recently finished his degree and was hoping to become a full-fledged professor. He was what I considered a ‘hippy’. He had long hair and a beard, and wore a hat, at least until he got into the classroom. He had a serape or poncho that was like a striped blanket that he’d wear over his clothes most of the time and he had tall suede boots, what my mom called squaw boots, with fringe down the side. He had his pant legs tucked in, always. He was a nice enough guy and even though I remember all of that I don’t recall his name. We would begin class with the greetings then he’d go into teaching. We’d do the lesson and on Friday he’d make the ‘big’ 500 word theme assignment. It was guaranteed to ruin the weekend. The interesting thing was how he chose the topics for the paper. He never had a planned subject on which to write the theme. He would look around the room then focus on an object. That object would become the assignment. For some reason now, it’s easy for me to spit out 500 words. In fact most times I have to make myself stop. (He’d be so proud.) Maybe it’s because nobody is making me write. Back then though, it was torture, especially hand writing, editing, counting the dang words, editing then writing a mistake free paper on some off the wall topic that had no meaning. I labored through the semester, dutifully counting the blasted words and coming up with some semblance of a readable paper each week. 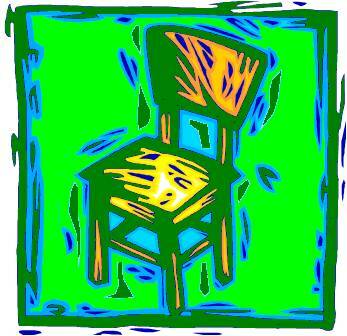 One Friday after looking around the room, Mr. Assistant Professor proclaimed the topic that week would be ‘A Chair’. Yes, write a 500 word theme about a chair. Great. Not only was it about a chair but it was to be about the classroom chair he pointed out. Great again. Sunday night, the customary time I started my 500 word theme due Monday, I pulled out the paper and begin to mull over what I might write. I struggled and wrote, erased, wrote, edited and wrote. Finally, I was finished. That is until I counted the words. 353. There were only three. hundred. fifty. three. damn words. Ugh! I tried and I tried again and I could not stretch the theme about the chair into 500 words. Frustrated to no end I determined that writing 500 word themes was for the birds and decided to share that information with Mr. AP. I re-wrote my theme about the chair and went on to explain that when I was finished I was finished and it shouldn’t matter if it was 500 words or 350 words. If it was legible and made sense it should be acceptable. But if he insisted on 500 words I could write 500 words on nothing or in this case on a chair, just to make the required word count. Monday morning I had changed my mind but it was too late. I had to turn in what I’d written. I handed it to him and hurried from the room. Friday, when the previous papers were handed back and the new assignment prescribed, he placed my paper on my desk, upside down. Reluctantly I turned it over and lo and behold, I had an A on my paper! I had a smiley face and a note from him as well. The note said that I had made my point and from now on when I was finished I could stop. 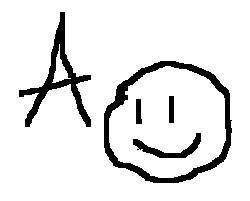 I made an A in that class. Mr. Associate Professor put a little more thought into his choice of future topics or, if it was another off the wall thing, he made sure to give some explanation as to what he was actually looking for. Guess what the final was at the end of the course. 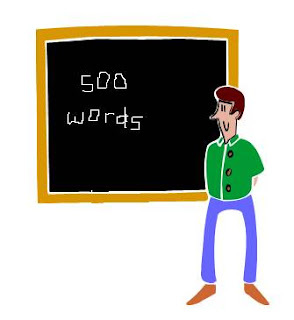 Write a 500 word theme on how to write a 500 word theme. Ugh! I cannot imagine having to write a paper without having Microsoft count the words for me, although I remember doing it in high school. I love your description of him - I can totally picture him... I bet he got a kick out of your defiant essay! Sounds just like TAAS writing. @Bryce...The process and structure is good. It was the word limitations I had trouble with! When I was in high school we were forced to read The Last Days of Pompeii - and write the dreaded 500 word paper on it. I hated the book so much I couldn't make it past the first few chapters and ended up writing a essay on why I hated the book, point by point. I got a B+ and the teacher wrote on top I would have gotten an A had I mentioned the eruption. Looking back I'm sure I got the grade after he'd read 30 or 40 papers on the same subject - a rose in a field of daisies. There is a lot to be said for amusement value. @Julia...That is funny! No offense to any English teachers out there but I can think of nothing more boring than reading the same thing 30 to 50 times! Thanks for stopping by! My essays were so good that teachers told me that they wouldn't let themselves read mine first because it set the bar for the rest of the class too high. Ah, the good old days of high school when it was so easy to excel. @Bryce...if I didn't know that to be the absolute truth I'd be laughing at you! You are still excelling dear boy...and always will.